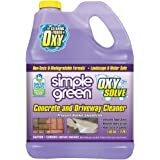 SIMPLE GREEN Oxy Solve Concrete and Driveway Pressure Washer Concentrate 1 Gal. 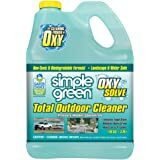 SIMPLE GREEN Oxy Solve House and Siding Pressure Washer Concentrate 1 Gal. 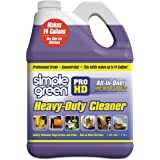 Simple Green Pro HD is a non-toxic, non-corrosive, professional grade product developed for multi-purpose contractor applications including use on floors, walls, industrial equipment, appliances, automotive or recreational vehicle cleaning and degreasing, commercial kitchens and baths, and for pressure washing, parts washing, ultrasonic cleaning, and more. 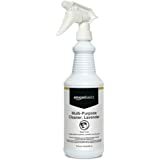 It quickly eliminates tough grease and grime, removes stains, and is safe on metal surfaces. 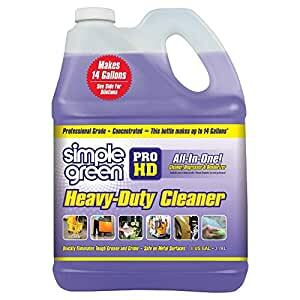 Simple Green Pro HD is your one-stop cleaner and degreaser. 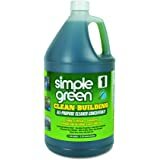 Where to use: use Simple Green Pro HD in a general cleaning dilution on floors, painted surfaces, aluminum, stainless or polished steel, chrome, plastics, vinyl, canvas, cabinets, counters, stove tops, refrigerators, sinks, showers, tile, and more. 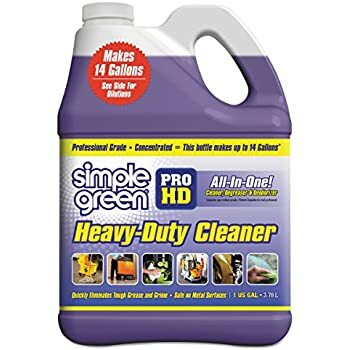 Use Simple Green Pro HD in a heavier cleaning dilution for engines, wheels, tools, heavy equipment, landscaping equipment, bumpers, grease and oil stains, exteriors of cars, trucks, vans, RVs, and boats, on BBQs, ovens, grills, range hoods and vents, machinery and more. 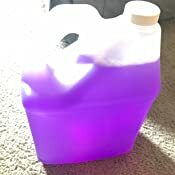 Size: 1 gallon bottle. I have discovered the P-E-R-F-E-C-T use for this product -- CARPET CLEANING !!! 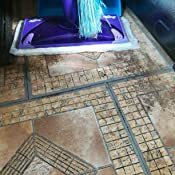 For those of us with carpet cleaners (I have a Hoover SteamVac I swear by) we know that getting carpets cleaned without damaging them or having to do a lot of spot scrubbing can be a real pain in the caboose. 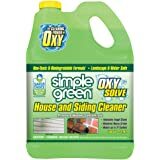 I use this cleaner mixed about 4:1 and my carpets are soft, clean and look like the day they were new. 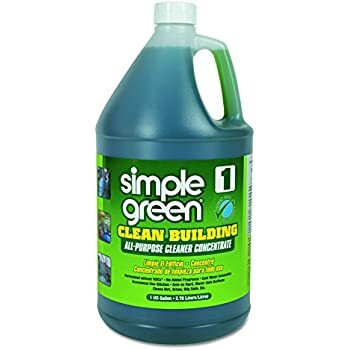 I actually went over an area of carpet that I thought was cleaned well by my carpet cleaning shampoo and I was shocked at the amount of dirt and filthy water that was sucked up after using this cleaner. I love this stuff. 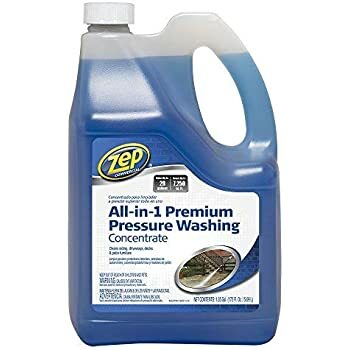 It is the best parts cleaner our shop has ever used. We put this in buckets, scrub the parts, and they always look like new with little effort. 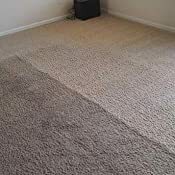 This cleaner has staying power too, because we can use it for 3 weeks before changing it out. We only change it out because there is abrasive particles in the cleaner left over from cleaning the parts, not because the cleaner looses it power. We will never again use anything else. We use it 50/50 even thought the bottle says different. Best part is that it cleans your hands better than that hand cleaner GoJo nonsense. Just dip (even in dirty cleaner), rub hands together. wipe off with a towel. I work in a restaurant and we have always have had problems with grease cleaning. 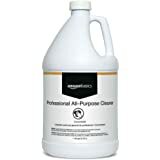 We started using this product along with a scrub brush and it took the grease right off. 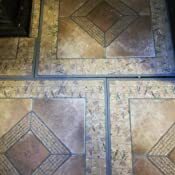 We have since cleaned our entire store and have been able to successfully keep it clean. Will continue to buy it! 5.0 out of 5 starsLove this product! On bottle 2. I love this product! I use it for all kinds of cleaning. 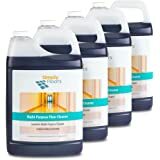 My favorite use is in the shower to eradicate any mold growing in the plastic glass door sweep (almost impossible to keep clean!) and in the corners of the tiled shower floor where we get that pink/red bacteria growing from dampness. We also have used to remove rust with great success. Wow! This is great for just about everything. 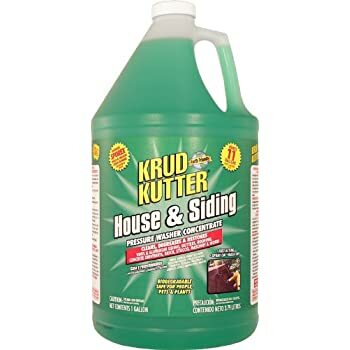 We've used it on the grill, the composite decking, the patio furniture, removing spray paint overspray on the deck, the car engine, car upholstery, cleaning floors and bathrooms in the house. It's just a great multi-purpose cleaner that really works on the tough jobs. 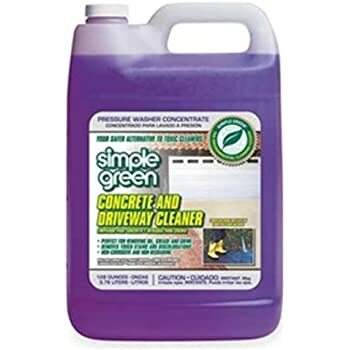 I used this in a Sun Joe pressure washer and did not work to good at cleaning my concrete patio. 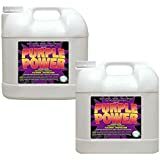 I was hoping to use something non toxic around plants and seemed like a good choice. I think I will need to resort to something with more harsh chemicals. 4.0 out of 5 starsWorked well on my motorcycle wheels , engine and other hard to scrub areas . Just followed directs and rinsed . I bought this to clean my Harley with and its a very rare model I was a little scared . Was very careful to follow the instructions and it worked great . Rinsed with Reverse Osmosis water and the bike looked great after a whipe down with Turtle ice wax detailer formula and a proper polishing cloth . 1/5 the cost of compareable bike cleaner/degreaser . Everything looks fine no damage to paint , pinstripes or stickers .